Want to buy a used car? Here’s how to get started. For most of us, shopping for a used car is about as fun as having a tooth pulled. Car sales are known to be notoriously long, arduous, paperwork-heavy ordeals. But times have changed; buying a used car need not be as painful as it used to be. Consumers now have much more information available at their fingertips, and knowledge is power. Once you’re armed with information, Cars R Us can help you buy a used car with just a few simple steps. When shopping for used vehicles, the first and most important thing is to determine how much you can afford to pay for your car each month. Keep in mind this goes beyond the car payment. Used car sales include tax, title, fees, registration, and additional costs for optional features. Also, be sure to factor in the insurance premium when calculating exactly how much you’ll spend on your used car purchase each month. It pays to be realistic here, but many consumers have trouble distinguishing between what they absolutely must have when they buy a used car and what’s just nice to have. If you don’t know how to drive a manual transmission vehicle, then obviously an automatic transmission is a must. But many consumers latch onto luxury features that cause the cost of their used car to creep higher and higher. That’s not to say that you shouldn’t have any luxury features, but keep your must-have list to one or two. You may find yourself having to choose between a sunroof or heated seats, and identifying what’s most important to you beforehand will help you decide which car is right for you. Experience makes it clear that this is where many used car purchases go wrong. It’s easy to forget the small list of must-haves you just created and become smitten by shiny, new cars that don’t meet your financial requirements. To stay focused, make a list of what you need to do with your used vehicle: drive three kids to school, lots of stop-and-go driving, or long business trips. Then, look for cars that suit these purposes well. 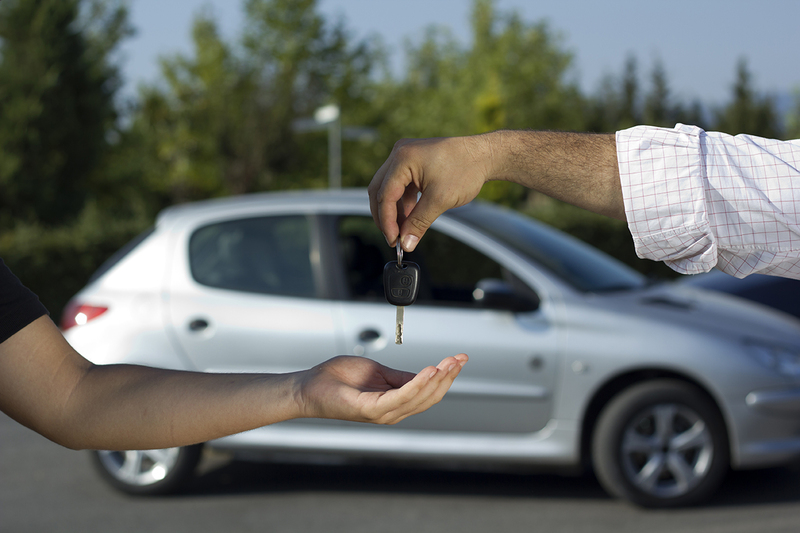 The right car dealership can make a huge difference when you buy a used car. Ask friends and family if they can recommend a reputable car dealership that specializes in used car and truck sales. Obviously, we recommend you stop by Cars R Us in Strafford! We’d love to help you buy a used car. When you buy a used car, some certified pre-owned vehicles may come with a warranty. But many used car sales are as-is, meaning that car dealerships or private owners offer no warranty. If things go wrong with your used car even the day after you buy it, you’re responsible for fixing it. If you identify a used car you’re interested in purchasing, request the VIN and check the vehicle history report before even contacting the car dealership or private owner. This should alert you to any negative maintenance issues with the car before you even test drive it. Whether you’re buying from a private seller or a used car dealership, the test drive is the most important step in deciding if a used car is right for you. During the test drive, try to simulate conditions under which you’ll be driving the car on a regular basis. For example, if you encounter a lot of stop-and-go driving during your commute, find a busy road and gauge how the car will perform under those conditions. If, after the test drive, you think this may be the car for you, ask for service records to ensure that the car is up to date on scheduled maintenance or recalls. You may also wish to have the car inspected by a reputable mechanic to identify latent issues that may cause trouble after purchase. Ensure the car can pass any emissions testing required by your city, county, or state. Be patient. Negotiations are not a fast process. Don’t be distracted by unnecessary up-sells like extended warranties or features that aren’t on your list of must-haves. Rely on your research from step three to make a low initial offer. Keep in mind the maximum amount that you’re able to spend. If you don’t feel comfortable with the person selling the car, walk away. Always be prepared to walk away from a negotiation, as this is your most powerful bargaining chip. Once you’ve settled on a price with the seller, have secured insurance, and closed the deal, it’s finally time to relax and enjoy your new-to-you car! But before you do, be sure to review the terms of any financing agreements and make sure you understand them. If you’re buying from a private seller, ask the seller to sign over the title to you before money changes hands. Finally, review the vehicle registration guidelines for your state and get your used car registered in the appropriate time window. Buying a used car doesn’t have to be a chore. Identifying and sticking to your requirements can help you find the best car for you at the perfect price – and will ensure a smooth experience overall. Stop by Cars R Us today and let us help you buy a used car!